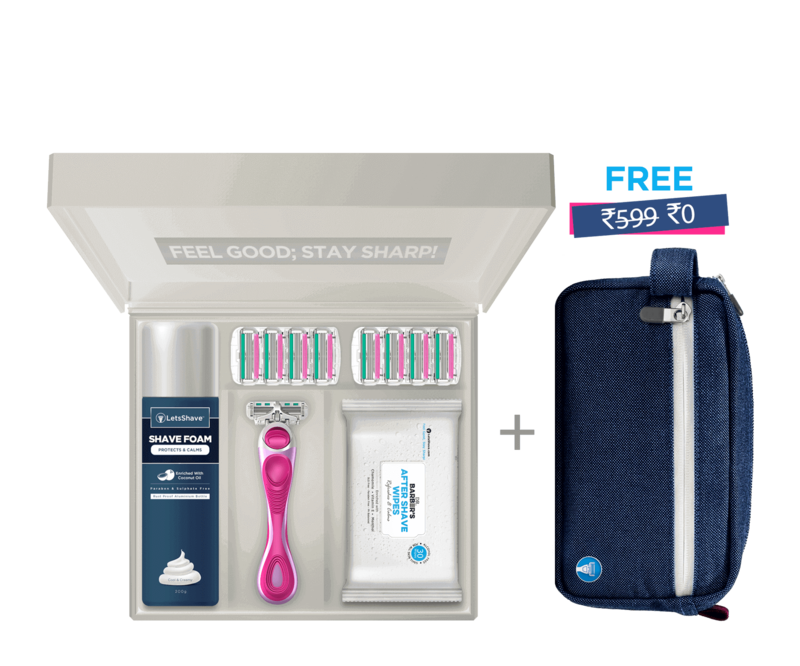 LetsShave Soft touch 4 Premium Gift Set is a thoughtful gift for a woman who wants the incredibly smooth skin. It comes along with a Travel Bag which is absolutely free with it. The Soft Touch 4 razor offers a long-lasting, comfortable shave that comes with 8 refill cartridges. The set also includes Dr. Barber’s Shave foam (200 gms) that helps razor to effortlessly glide over your skin. Also 30 After-Shave Wipes that soothe the aftershave razor burns. You can also buy LetsShave Shaving Brush along with this pack to complete your shaving kit.